Once the case studies, organizational analysis papers, and mock financial audits are completed, the primary goal for most MBA grads is the job hunt. Of course there are some students who choose to continue on with their education. SFU offers a highly reputed Business PhD Program, and many grads go to other institutions to complete high finance, accounting, economics, or law degrees. For those looking for an immediate career, Vancouver can be a fantastic place to be if the student knows the right people. The SFU MBA Program’s Career Centre rightly points out that the majority of job candidates graduating from an MBA program are hired, or at least interviewed, based on a recommendation to the hiring manager. These recommendations can be gained through simple networking and business community involvement. 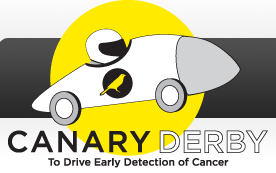 One extremely valuable networking opportunity, and a worthy charitable cause is the Vancouver Canary Derby. The Canary Derby brings together both large and small Vancouver-based technology companies to raise money for the early detection of cancer (thus the Canary). The companies form teams which fund-raise for the charity along with the construction of a soap-box car which they race against other teams. Anyone can get involved as a volunteer, which allows exposure to executives and hiring managers alike from these technology companies. Last year two students from the SFU MBA program volunteered to help facilitate the event and assure that the teams and spectators had a good experience. The event lasts for one day, and although it’s hard work for the volunteers, there are several opportunities to network. Many of the companies’ executives are directly involved with the race team. For a newly minted MBA student, this could mean spending the entire day with employees and managers from a company that the student wants to work for. During this time the student gets to learn about the organization, meet some of the people that (fingers crossed) they might one day work with, and begin to build a rapport with potential interviewers. With networking, there’s absolutely no promise that a job will simply land on one’s lap. This said, look at it this way; if you were interviewing someone, would you rather talk to the person that you had an enjoyable experience with at a charity event, or someone that you have never met? The case for why MBA networking is so important suddenly becomes clear. Last year, one of the volunteers from SFU’s MBA program was able to get some time with the VP of Marketing from an organization that they very much wanted to work for. This led to an information interview, which then turned into an internship. Not to mention, the student had a great time at the event and has continued their involvement with the Canary Derby. It should be noted that it wasn’t as easy as a simple conversation and an interview. The student, along with some help from the SFU MBA program Career Management Centre, worked hard on their resume and cover letter, interview preparation, and internship negotiation. The MBA Career Centre provides on-going, as well as ad-hoc support for all career related issues a student in the MBA program might encounter. Whether you’re currently in an MBA Program in Vancouver or simply someone looking for a great day and a terrific networking opportunity, the Canary Foundation is always looking for volunteers for the race in September. Go to the Canary Derby Volunteer Page or email vancouverderby@canaryfoundation.org directly to get involved. This day of fun, spirited racing and memorable times promises to be a fantastic experience for anyone. The volunteers are treated to meals and refreshments along with a Canary Derby T-Shirt and hat. You never know who you might meet.